Need New Windows for Your Home? Visit our Design Center to get a real-life glimpse into the work we do. Get inspired by a photo gallery of our work. And learn how others just like you are enjoying the many benefits of their Renewal by Andersen replacement windows. Double hung windows continue to be Renewal by Andersen’s top-selling replacement window product. Our Double hung windows are incredibly versatile and will work in almost any space in your home that’s easy to reach for opening and cleaning. Double hung windows look great by themselves or in groups to cover a large space and let in the light. We offer eight exterior colors and seven interior colors to choose from, as well as a variety of hardware finishes. But Renewal by Andersen’s double hung windows don’t just look good — they’ll outperform both your home’s old windows and the competition’s. Our double hung windows have an extra layer of insulation between the layers of energy-efficient glass. That means your home heating and cooling costs will be lower, your home will be quieter, and your upholstery won’t fade from the sun’s harsh UV rays. Renewals by Andersen’s double hung windows are also extremely safe. The two sashes, which operate on two tracks, can operate separately. However, they are secured with a high-quality lock. While the coating on the High-Performance™ Low-E4® Glass reduces water spots, dirt happens. But cleaning your windows doesn’t have to be a major project. Renewal by Anderson’s double hung windows tilt in, so you can clean both sides of your windows from inside your home — no ladder and bucket of soapy water are required. Learn how to clean your double hung windows and watch an instructional video here. If your home comes with a view, casement windows might be your best way to bring in outdoor light. Unlike Renewal by Andersen’s popular double hung windows, casement windows open vertically — just like a door. The unique configuration makes them ideal for hard-to-reach locations such as above a kitchen countertop or in your stairwell. However, because casement windows jut out when opened, they aren’t made for installation next to heavily-trafficked locations such as sidewalks or decks. Instead, use them on your home’s second floor or next to gardens or other green areas without pedestrian access. 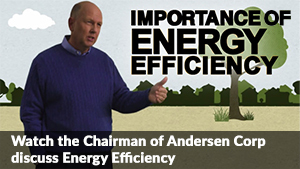 Casement windows are the most energy efficient windows Renewal by Andersen carries that open. The windows use our High-Performance™ Low-E4® Glass and quality sealing technology. This combination will cut your utility bills by an average of 25 percent. In addition, the insulated glass will cut down on outside noise and block harmful UV rays that can damage fabrics and furniture inside your home. Our casement windows can be customized to match the look of your home. We offer a choice of eight exterior colors and seven interior colors to choose from. In addition, we offer two hardware collections in a variety of finishes to match your decor. Renewal by Andersen’s casement windows also feature one of three grille patterns, including Colonial, Prairie or Farmhouse. Our Casement windows can also feature insect screens — including our popular TruScene® High Transparency Insect Screens. TruScene screens are less visible and allow more light into your space. Add more light and storage to your space with a stylish bay window. Bay windows combine three windows in one of four configurations to create a ledge that can be used for seating or decorating. All bay windows have a central picture window that does not open. The picture window is flanked by two casement windows or double hung windows. Double hung windows feature two sashes that operate on two separate tracks. They can open independently of each other or flush with your wall. Casement windows, on the other hand, open vertically — like a door. While casement windows can let in more light, they are not suited for use next to high-traffic areas. They work best over flower beds or gardens because they jut out — double hung windows are a versatile option for any space. All of Renewal by Andersen’s bay windows can be completely customized to match your home’s style. We offer a choice of eight exterior colors and seven interior colors. In addition, you can choose from a variety of hardware finishes, three grille patterns and two insect screens — including our popular TruScene® High Transparency Insect Screens. With Renewal by Andersen’s bay windows, you’ll reap the benefits of our energy efficient High-Performance™ Low-E4® Glass. Studies have shown that this glass will help keep your heat inside during the winter months and cool air inside during the summer months. On average, customers will see a 25 percent drop in their utility bills. From majestic mountains to rolling fields, take advantage of the beautiful views south-central Pennsylvania offers with a picture window. The large, stationary pane will brighten your space and make the most of your home’s picturesque setting. You can use picture windows throughout your home anywhere you want to showcase the view. Use them on your first floor to frame your room with the greenery right outside your window. Picture windows on the second floor of your home can allow you to take in the view for miles. Use picture windows in a grand entryway to make your space feel open and airy. Or put a picture window above a soaking tub in your master bathroom to enhance your spa-like experience. They are also a great addition to living rooms, kitchens and dining rooms, and they can make your space feel even larger. With such a large window, your primary concern will likely be your home’s energy bills. Renewal by Andersen’s picture windows are made with our High-Performance™ Low-E4® Glass. Studies have found the glass to be 56 percent more energy efficient than traditional dual-paned windows in the summer and 45 percent more energy efficient in the winter months. The savings quickly add up, with the average person saving a whopping 25 percent on their utility bills! 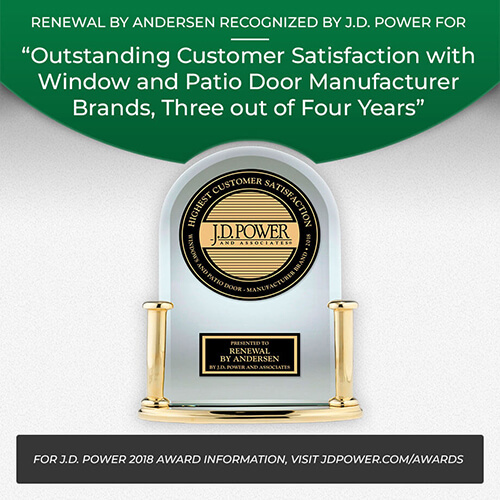 While Renewal by Andersen’s picture windows do not open, many of our customers choose to pair them with windows that you can crack to get some fresh air. 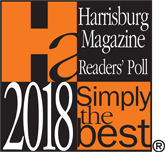 Depending on where you plan to place your picture window and the amount of foot traffic outside, you can flank it with our double hung windows, casement windows, sliding windows or awning windows — all of which can easily be opened. If you love the bright, open look of picture windows but want the ability to ventilate your space, gliding windows might be your answer. Gliding windows are Renewal by Andersen’s largest “openable” window, and the glass panels slide horizontally. Gliding windows are a great choice for homes with small children. Old traditional windows, which open vertically, can slam down and pinch fingers. Gliding windows, on the other hand, operate smoothly on their track and are a safer choice for kids. Gliding windows are a popular choice for living rooms, kitchens and dining rooms. With gliding windows, you get a lot of natural light but not very much privacy. Gliding windows also require blinds and curtains that would take away from the view if placed in bedrooms or bathrooms. Try putting them in your “social spaces” to take full advantage of the bright, open look they create. Gliding windows work well next to high-traffic areas including decks and walkways. Unlike casement windows, gliding windows remain flush with your siding, making them safe to open without risk to family, guests or pets. While Renewal by Andersen’s gliding windows let in a lot of light, they won’t let in cold air during the winter or hot air during the summer. The average customer will see a 25 percent drop in their home utility bills thanks to our unique High-Performance™ Low-E4® Glass options. The glass will also reduce the street noise in your house and will reduce the sun’s harmful UV rays, which can damage your fabrics and furniture. In addition, our High-Performance™ Low-E4® Glass will also reduce water spots to cut down on the amount of time you need to spend cleaning your gliding windows. 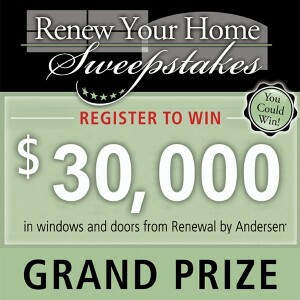 Add unique style and immeasurable value to your home with a custom window from Renewal by Andersen. While all of our windows are made to order, our custom windows are unique in their configurations and will help you make the most of an awkward space or showcase a sunny spot in your home. You can work with one of our design experts to create something one of a kind, and something that will become a showcase piece in your home. We offer custom windows in 13 styles, including Chord Window, Circle Top™ Window, Triangle Window, Peak Pentagon Window, Circle Window, SpringlineT Window, Pentagon Window, Trapezoid Window, Equal Leg Arch Window, Quarter Circle Window, Octagon Window, Right Triangle Window and Hexagon Window. They can each be mixed and matched to create your unique design. 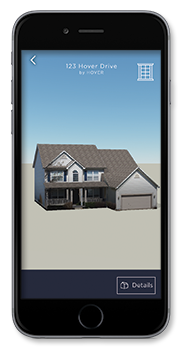 In addition, our custom windows come in your choice of eight exterior colors and seven interior colors to match your home’s existing color scheme. You can also customize your custom windows with one of three grille options including Colonial, Prairie or Farmhouse. All of Renewal by Andersen’s custom windows come with High-Performance™ Low-E4® Glass. This glass has been proven to be 56 percent more energy efficient in the summer and 45 percent more energy efficient in the winter. Our customers see an average savings of 25 percent on their utility bills after installing our custom windows. In addition, the glass is coated to drastically reduce water spots. Custom windows can reduce street noise and the sun’s harsh UV rays that damage your home’s fabrics and upholstery. Are you looking for a window to go in a hard-to-reach area of your home? Awning windows are the perfect choice for above your kitchen sink and in stairways. Named for the way they open, awning windows use a crank to lift horizontally and out as the top remains stationary. They are also popular in small or oddly-shaped spaces in bathrooms, basements and kitchens. However, because awning windows jut out from your home, they should not be used next to high-traffic areas such as decks, patios or walkways where someone could potentially walk into them. All of Renewal by Andersen’s awning windows can be completely customized to match your home’s existing style. We offer your choice of eight exterior colors and seven interior colors. Our standard hardware comes in three finishes. The Estate Hardware Collection comes in eight finishes including Bright Brass, Antique Brass, Polished Chrome, Polished Chrome, Satin Nickel, Distressed Nickel, Oil Rubbed Bronze and Distressed Bronze. You’ll be able to match your window’s hand crank to your decor. Our awning windows can also be customized with one of three grille choices and your choice of two insect screens. Renewal by Andersen’s awning windows also come standard with High-Performance™ Low-E4® Glass. This glass is extremely energy efficient and will keep hot air out of your home in the summer and cold air out during the winter months. Our customers save an average of 25 percent on their energy bills after installing our awning windows. Love the look of window walls? Want the convenience of a door? You can combine the best of both worlds with Renewal by Andersen’s patio doors. Our patio doors feature the energy-efficient materials of a window and the accessibility of a patio door. Our patio windows have multiple locks for added security in addition to weather stripping for extra insulation which will keep you safe and lower your utility bills. Our Frenchwood® patio doors combine the traditional look of French doors with energy efficient materials. The Frenchwood® patio doors are available in both swing out and slide models. Choose from a variety of interior and exterior colors that won’t flake, rust, blister, peel, crack, pit or corrode. You’ll have easy maintenance and patio doors that stand the test of time. Renewal by Andersen’s Narroline® contemporary sliding patio door features panels that easily glide on ball-bearing rollers. The interior of the door features natural pine wood that can be customized to match your existing decor. At Renewal by Anderson, our patio doors also feature our High-Performance™ Low-E4® Glass. The glass is 56 percent more energy efficient than traditional double-pane glass in the summer — 45 percent more energy efficient in the winter. This translates into an average savings of 25 percent on utility bills. The High-Performance™ Low-E4® Glass will also reduce the sun’s harmful UV rays that will damage your home’s furniture and fabrics, and it will reduce the amount of exterior noise you’ll hear inside your home. In addition, the High-Performance™ Low-E4® Glass’s coating will greatly reduce water spots and make your patio windows incredibly easy to clean.